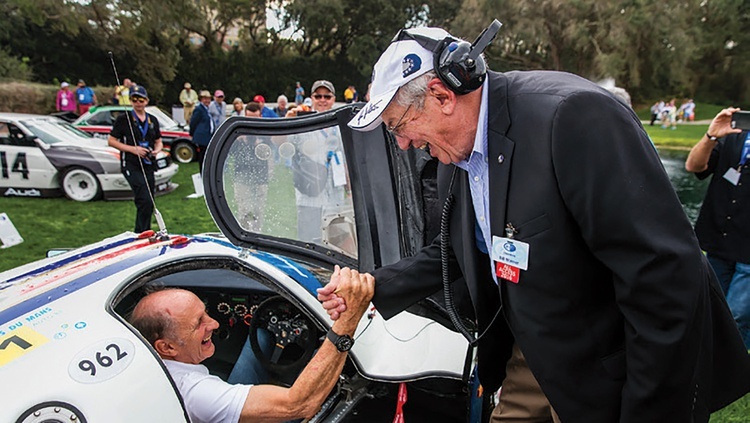 Any doubts that the 2017 Amelia Island concours shouldn’t have been rescheduled at the 11th hour were washed away by the pouring rain and 30 mph gusts that lashed the Ritz-Carlton resort, the event’s host hotel, the planned Sunday of the event. Earlier in the week, forecasters had predicted heavy rain and tropical force winds, prompting The Amelia’s founder and chairman, Bill Warner, to shift the concours to Saturday. The move would require Warner’s staff and 700 volunteers to condense an already tight schedule. Rather than cancelling Saturday’s cars and coffee and displacing Automobile’s All-Star Awards, Warner would look to his team to find the space and create a schedule where a crowded Saturday and Sunday lineup could co-exist in the same eight hours without anything getting lost in the shuffle. It is that insight, that ability to know what’s best for his event, that sets Bill Warner apart. Where many companies assemble focus groups and pay consultants to do surveys, Warner follows his passions and invites others along for the ride. 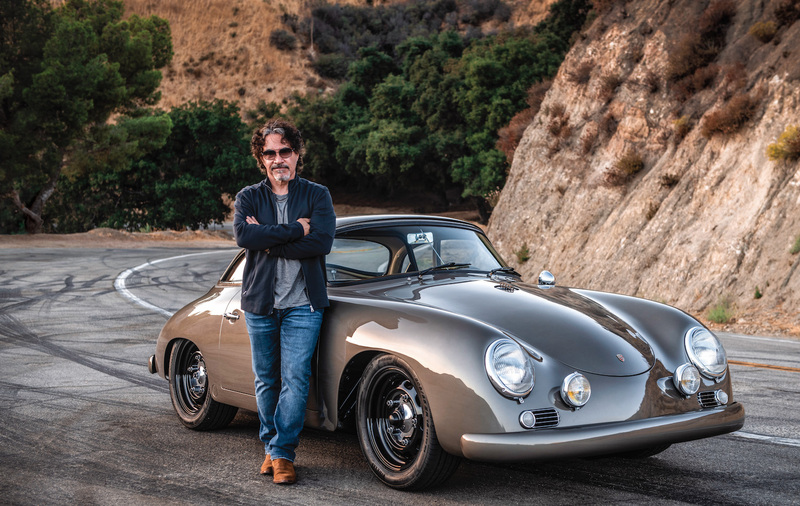 “It isn’t the cars I’ve bought for investment purposes that have made me money; it’s the ones I’ve bought with my heart that have provided the best return,” Warner said. Following his heart has rewarded him with three Road & Track covers, success on the race track, a beautiful family and an award-winning Concours d’Elegance. 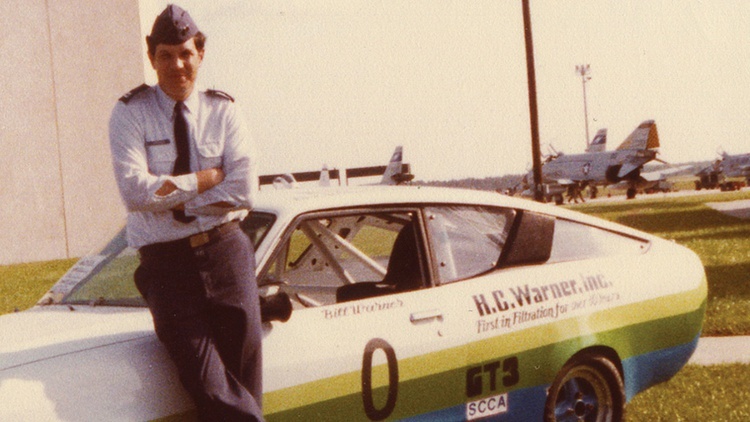 Growing up in Jacksonville, Florida, Warner knew from an early age that racing would be a part of his future. His father taught him the importance of hard work, reinforcing the lesson by having him mow the acre around his childhood home with a push mower. Where many children would imagine they were preparing the outfield for a baseball game, Warner visualized the mower as a race car and himself racing his hero, Stirling Moss. After graduating with an electrical engineering degree from The Citadel in 1966, Warner married Jane, the love of his life. He then entered the military, where he served for 30 years in the Florida Air National Guard, and started selling filters at his father’s business, H.C. Warner, Inc. In 1967 Warner took his camera, along with borrowed lenses, to the SCCA American Road Race of Champions at Daytona for his first professional assignment. He was shooting for Sports Car Graphic. His careful eye and technically proficient, storytelling style of photography quickly earned him the title of Sports Car Club of America Photographer of the Year for 1970. 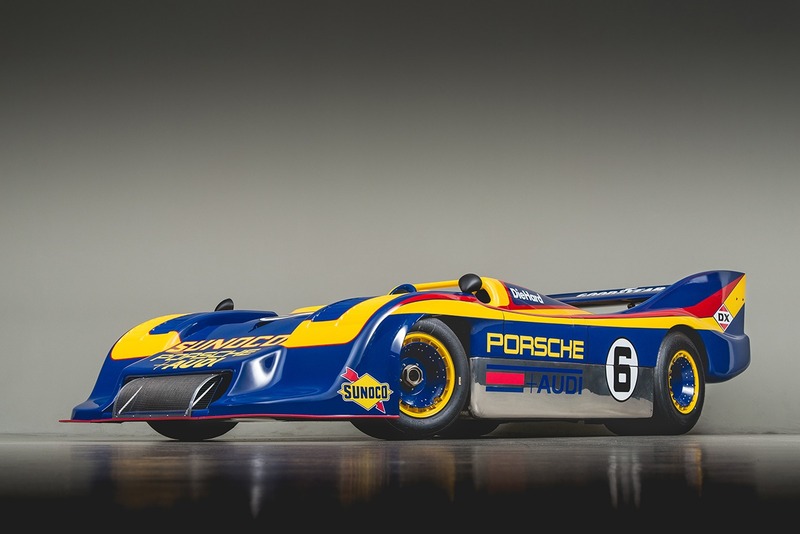 It also opened up opportunities as a regular contributor to numerous magazines and news outlets, including Car and Driver, Autoweek, Automobile, Vintage Motorsport, Atlantic Monthly, Automobile Year, and Road & Track, the latter of which he still contributes to today. He also began to freelance as a writer, learning early on that the key to success in automotive journalism was putting words on a page. Warner began his racing career in 1977 behind the wheel of a Brabham BT8 that he pulled out of a South Carolina junkyard for $2900. Discovered while he was actually following a lead for a birdcage Maserati, that Brabham, in typical Warner fashion, turned out to be the sports racer that Denny Hulme drove to win the Royal Automobile Club’s International Tourist Trophy in 1965 at Oultan Park. That all-or-nothing attitude would also help him transform his father’s filter company, which he grew from a single office with one employee in 1966 to a lucrative business with 23 employees and offices in Greenville, Atlanta, Birmingham, Ft. Lauderdale and Jacksonville, Florida. 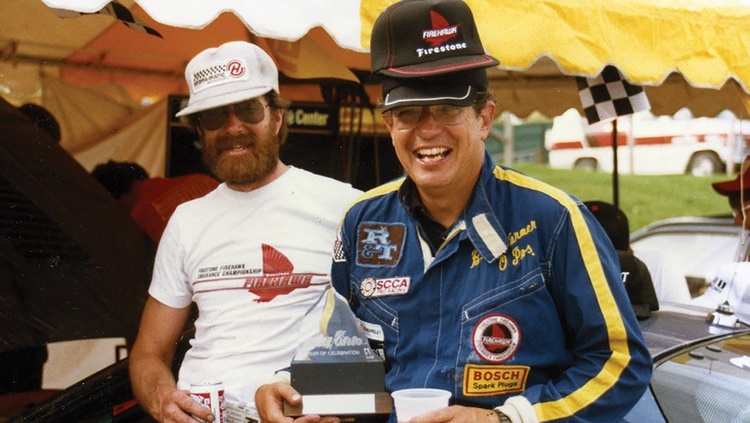 Bill Warner’s hometown roots in Jacksonville, Florida, run strong, and by the early 1990s he was committed to bringing an automotive event to northeast Florida. Since his first inclination was racing, he began working with the mayor’s office to create a plan for a downtown Indy race. The idea hit some political hurdles and was laid aside. 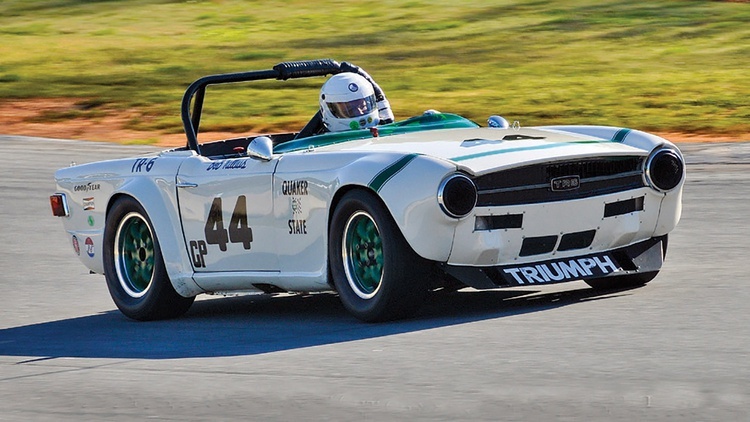 In the meantime, the public relations team from the Ritz-Carlton on Amelia Island, Florida, had cooked up the idea of having a world-class concours event on their campus, but needed a champion with the background and connections to take the idea to the next level. All roads led to Bill Warner. The first show would take place April 4–7, 1996. Warner would call in favors from the automotive news outlets that he worked with to assemble a team of journalists to cover the inaugural event. His connection with Mercedes-Benz produced the founding automotive sponsor. 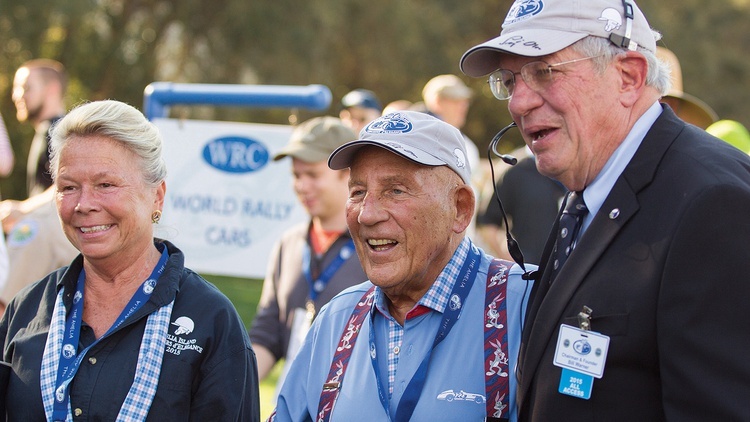 Mercedes-Benz proved to be a gracious host, bringing in legendary Grand Prix driver Sir Stirling Moss to be The Amelia’s first honorary chairman. Warner’s childhood dream of working with his boyhood hero was realized, albeit in slightly altered form, as he walked the freshly cut lawn of The Golf Club of Amelia Island with Moss. Other luminaries in attendance at that first concours included Brian Redman and Hurley Haywood. Ralph Lauren’s breathtaking 1930 Mercedes-Benz SSK “Count Trossi” graced the show field, and a stunning 1938 Talbot-Lago 150SS Figoni & Falaschi took top honors. The crowd was estimated at 2000, and Warner’s efforts resulted in a $35,000 donation to Community Hospice of Northeast Florida. 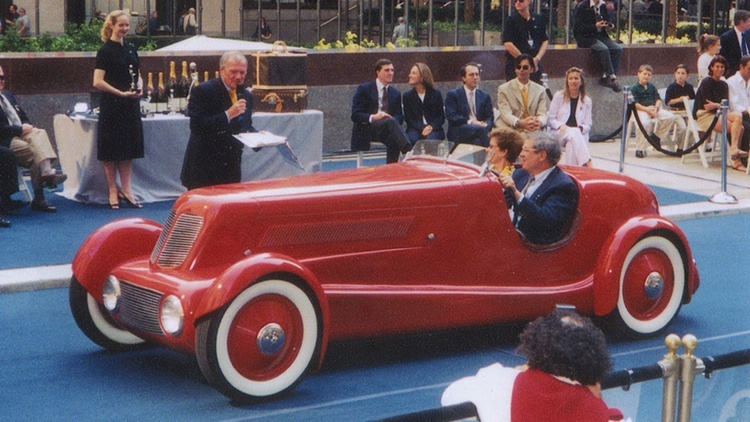 The next year, 1997, saw America’s first Formula 1 champion, Phil Hill, serve as honorary chairman. That second concours would also showcase the event’s first featured marque: The 50th anniversary of Ferrari, combined with Hill’s storied career as a Ferrari driver, made the Prancing Horse a natural fit for the show. Warner would assemble 14 Ferraris, including the iconic 1961 Ferrari 250TRI/61 that Hill drove to victory at Le Mans. The Amelia would grow with each passing year. 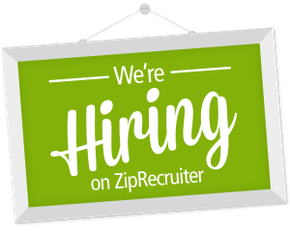 The expansion would warrant additional staff and an office building near downtown Jacksonville. 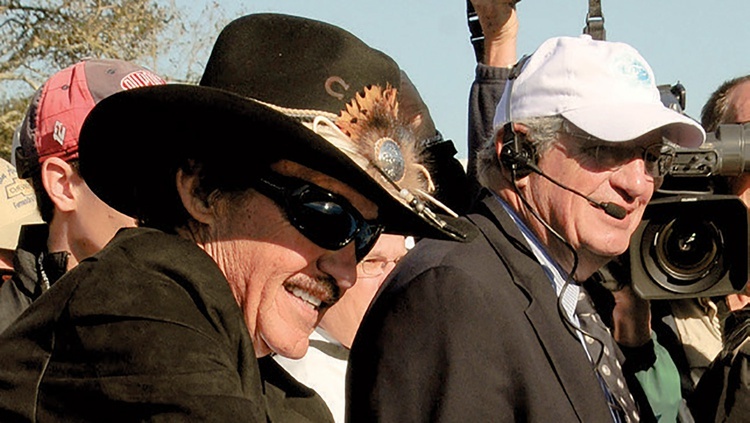 The list of past honorees now reads like a who’s who of racing, including names like Carroll Shelby, John Surtees, Bobby Unser, Johnny Rutherford, David Hobbs, Vic Elford, Dan Gurney, Sam Posey, Jochen Mass and Richard Petty. Warner’s heroes would become his close friends. The Amelia went on to win the coveted Motoring Event of the Year award for 2013 at the International Historic Motoring Awards, an honor that would be reprised in 2016. The most recent celebration of The Amelia Island Concours d’Elegance featured more than 300 concours vehicles from all over the world, plus another 450 cars for the weekend’s cars and coffee event. More than 350 media were granted credentials, and 20,000 spectators took in the show. The event’s yearly economic impact to Florida’s First Coast is estimated to be around $24 million. The Amelia Island Concours d’Elegance Foundation’s charitable giving continues to donate to Community Hospice & Palliative Care and has expanded to include Spina Bifida of Jacksonville, Shop with Cops, the Nassau County Sheriffs Foundation, Dreams Come True, and the Mayport Navy-Marine Corps Relief Society. In total, The Amelia has donated more than $3.2 million to local charities. 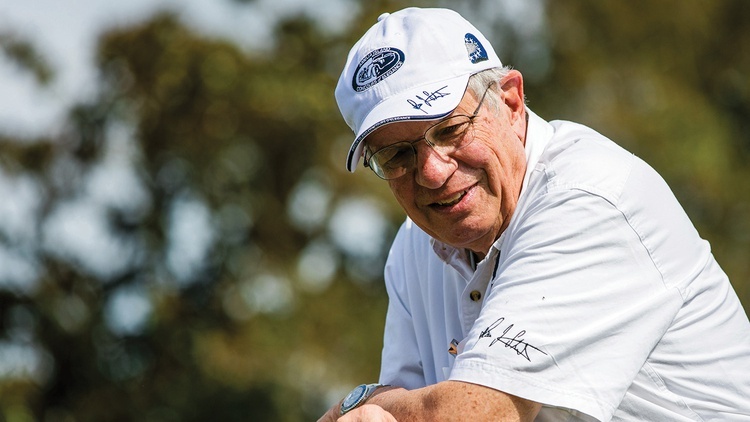 Bill Warner’s goal to give back to the community has exceeded every expectation. Chris Brewer, you are a fine writer with a big hert to show Bill Wqner in such a greqt light. Good work. Although I'v never met him nor attended his show, I'll be sure not to miss it this year. Thanks for the article and hi to Tim. Great article showcasing a great event and great person. Displaying a car there is the highlight of my year. 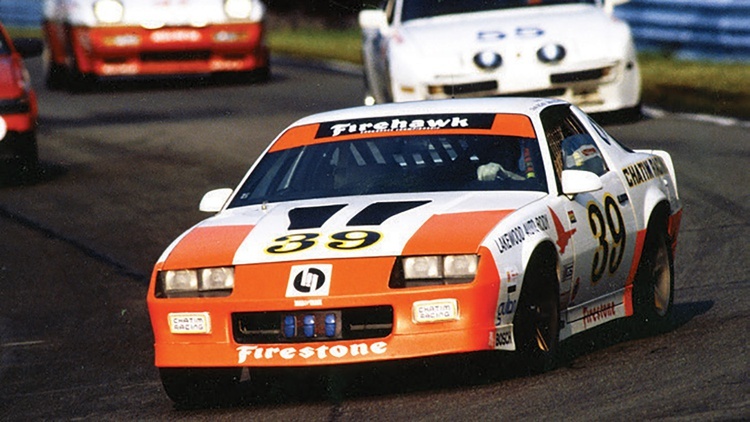 Thanks to Bill for making great memories for a huge number of car people. It's a real spectacle now!! And thanks to all those volunteers - who make it possible - to donate so much time to the event, and untimately dollars to charities.